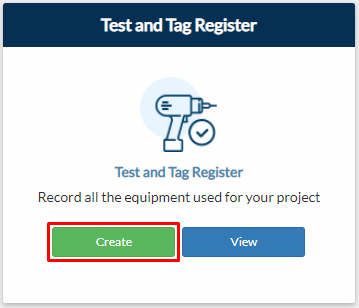 From your project page, go to Risk Management > Test and Tag Register > Create. From your navigation bar, go to Risk Management > Test and Tag Register. 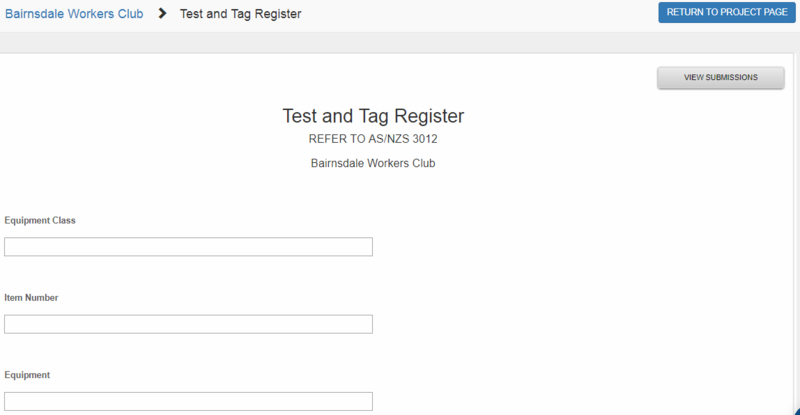 Or type in 'Test and Tag Register' from the search bar located on the upper right corner of your portal. 2. You will be directed to the form. If you created the form outside your project, some fields are already populated based on the available data. These fields are: Business Name, Address, Tester's Name, and Certificate Number. 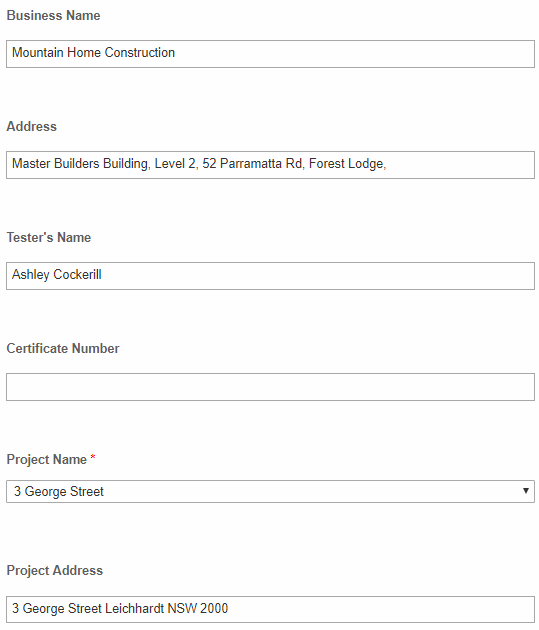 If you selected a Project Name, Project Address will be auto populated. If you created inside your project, the fields above will be hidden.